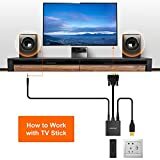 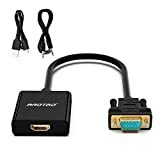 Shop Ireland » CE » aROTaO Active HDMI to VGA Adapter with 3.5mm Audio Jack and Micro USB Power Port, HDMI Female to VGA Male Converter Compatible for TV Stick, Raspberry Pi, Xbox 360, Xbox One, PS4, PS3, Laptop etc. aROTaO Active HDMI to VGA Adapter with 3.5mm Audio Jack and Micro USB Power Port, HDMI Female to VGA Male Converter Compatible for TV Stick, Raspberry Pi, Xbox 360, Xbox One, PS4, PS3, Laptop etc. 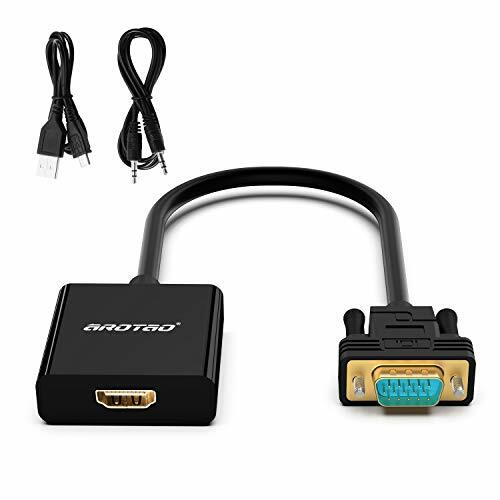 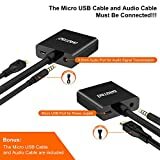 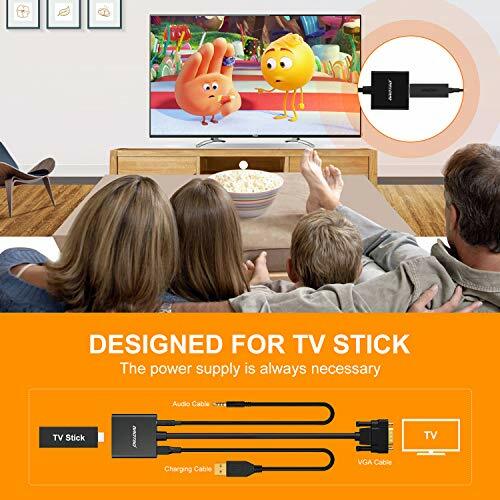 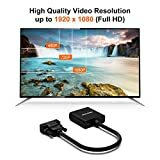 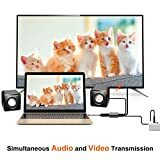 aROTaO HDMI female to VGA male converter is great for connecting a laptop or other HDMI source to a VGA display device with full HD video audio support. 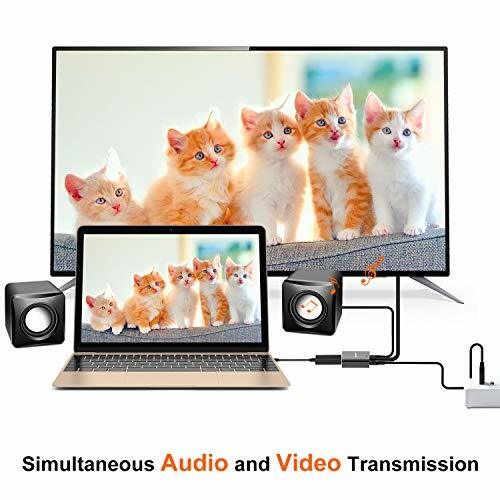 The HDMI to VGA connector integrated micro USB and 3.5mm audio port, so it supports audio output and charging at the same time, provides more stable signal transimission performance. 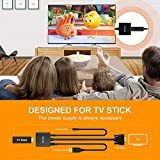 Ideal for home theatre, work presentation, games playing, etc. 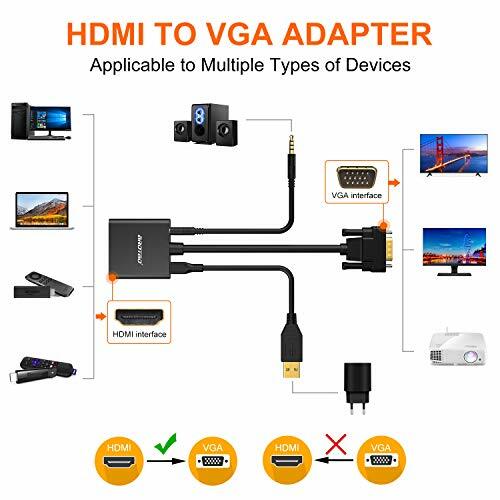 This converter HDMI to VGA is not bidirectional, so it cannot transmit signals from VGA to HDMI. 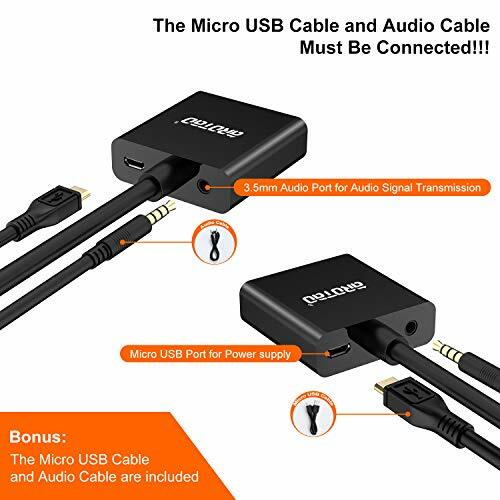 The micro USB cable and the audio cable are required while you are using this adapter. 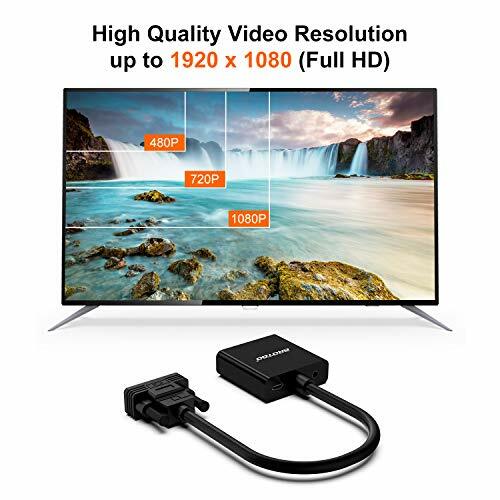 The active HDMI to VGA monitor adapter is specially designed for TV sticks, so it is perfect for converting and transmitting digital signal from tv stick. 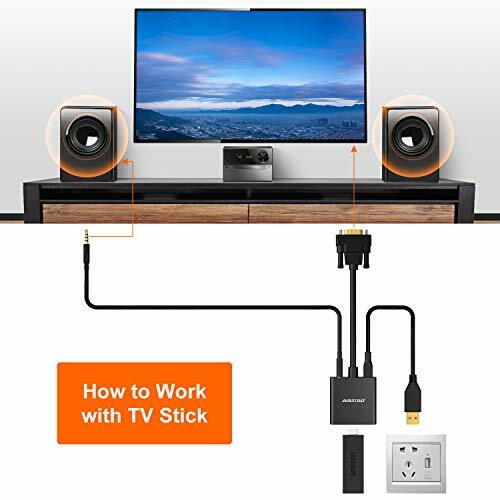 aROTaO HDMI to VGA converter adapter features a built in audio cable and micro USB cable, so you just need one connection to transmit both video and audio signals from your HDMI output devices to your analog signal VGA devices.